I do not believe it is an overstatement to declare that the Texas Panhandle legal community has lost a legendary figure. During my nearly 18 years as editorial page editor of the Amarillo Globe-News, I was privileged to interview dozens of candidates for state and county judgeships. Most of them were serious about seeking the job and in serving their community and state. Almost to a person they would include a laudatory statement about Judge Robinson. They would say that this veteran jurist set the standard for judicial excellence. They intended to pattern their conduct on the bench after her. Yes, she was revered by those within the legal community. Judge Robinson was a pioneering individual. She was the first woman to serve on the Potter County court at law bench; she would serve on the state district court bench and then on the Seventh Court of Appeals. After that she became the first judge appointed to fill a seat in the newly created Northern U.S. Judicial District of Texas. 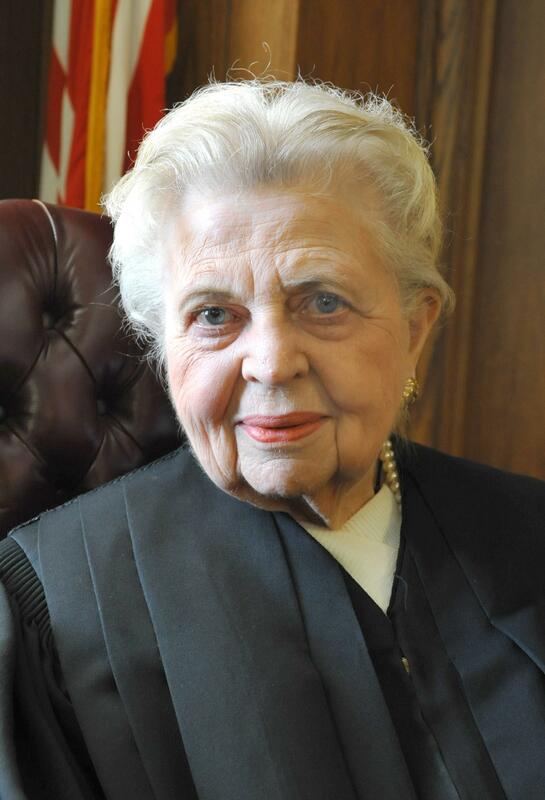 President Carter appointed her in 1980 and she worked full time as a federal judge until only recently, when she took “senior status,” enabling her to preside over trials of her choosing. And let us not forget her presiding over the widely covered “beef trial” involving Oprah Winfrey, who got sued by some Panhandle cattlemen over a remark she made about mad cow disease during one of her TV shows. The cattlemen wanted the trial to occur in Amarillo, perhaps thinking they could get a favorable ruling from a local judge. Winfrey prevailed in the lawsuit. I did not know Judge Robinson well, although we did serve in the same Rotary Club for many years. She was always gracious, even though she knew I was a member of the media. I mention that because Judge Robinson rarely conducted interviews; I always had the sense that she was mildly uncomfortable with those of us who reported on and commented on issues of the day. I want to share one more quick story. The Globe-News welcomed a young reporter some years ago who I believe was assigned to cover the courts. He wanted to meet Judge Robinson, who he knew only by reputation; he asked me if I could arrange the meeting. I approached the judge at a Rotary Club meeting and asked her if she would be willing to meet this young man. She agreed. They met in her office in downtown Amarillo and, according to my colleague, she could not have been warmer, more welcoming and gracious. I recall him telling me she wanted to talk mostly “about her grandchildren” and showed off pictures of her family. The jurists who will continue to seek to emulate this judicial icon could not have chosen a better model. There he goes again: lying when he simply could remain silent, let alone tell the truth. Donald Trump has said that every living former president supports his desire to build The Wall along our border with Mexico. Oops! Except that they don’t. 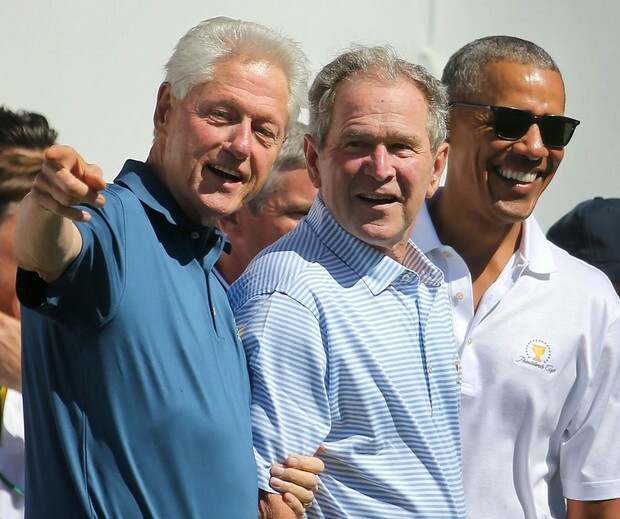 Three of the four former presidents have declared that Trump hasn’t discussed the issue with him. 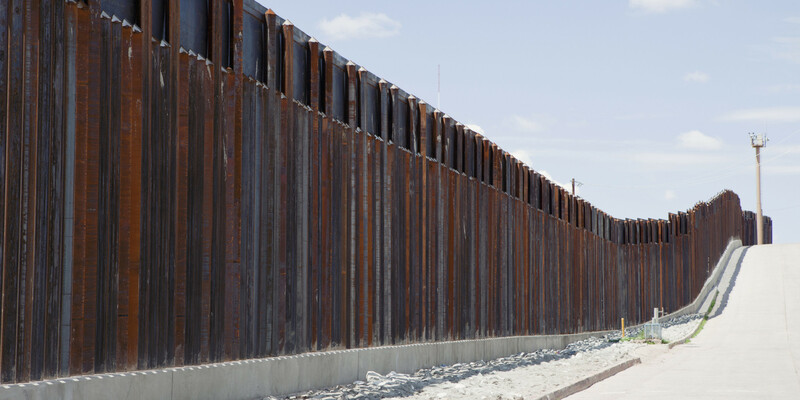 Jimmy Carter has just joined Bill Clinton and George W. Bush in denying that they support building The Wall; Barack Obama has been quiet on this particular matter, but his views on The Wall already are well known. “I have not discussed the border wall with President Trump, and do not support him on the issue,” President Carter said in a statement issued by the Carter Center in Atlanta. So, I’ll ask the question once again: Why in the name of truth-telling does Donald Trump insist on tossing out these gratuitous lies? Good grief! The guy can just keep his trap shut. He could simply that “others” support his goofy notion. But oh, no! He’s got to say that the former presidents of the United States have joined him in this idiocy. Except that all of them are of sound mind and are able to speak for themselves, and what do you know . . . they have disputed categorically what Trump has declared. This is what I mean when I suggest that Donald Trump is so very indelicate and imprudent in his lying. He is a bad liar. He cannot control his impulse to lie when he doesn’t need to lie. The president’s lying about the ex-presidents’ alleged “support” for The Wall now seems to affirm his counsels’ fear about the president committing perjury. Lawrence O’Donnell, a noted MSNBC commentator, believes the upcoming campaign for the 2020 Democratic Party presidential nomination is going to be a very crowded affair. 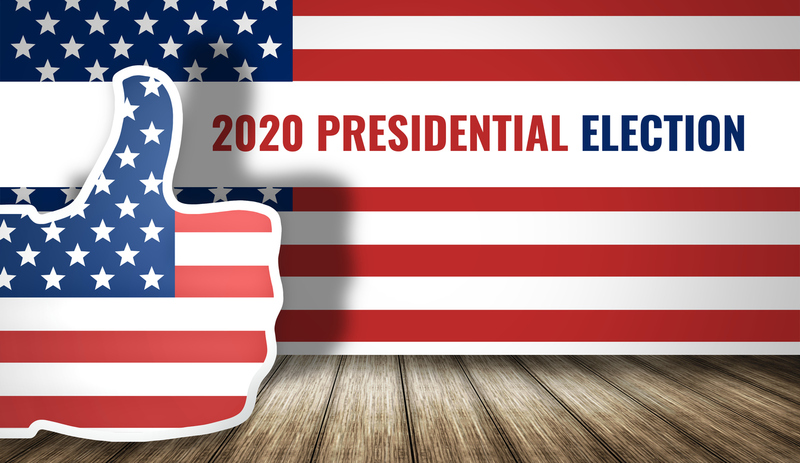 He believes the number of candidates will “start with the number two,” meaning that he expects more than 20 politicians to seek the nomination in hopes of running against Donald J. Trump. On almost any level, this is an astounding story if it develops as O’Donnell believes it will. We might have an incumbent seeking re-election. Incumbency is supposed to build in a lot of advantages: platform, visibility, name ID, the perks of power. Incumbent presidents often seek re-election miles ahead of any challenger. Not this time. Not this president. In 2016, we had 17 Republicans declare for their party’s nomination at the start of the primary season. Trump knocked them one by one over the course of the GOP primary campaign. He won the nomination on the first ballot and then, well, the rest is history. Meanwhile, Democrats fielded four candidates at the start of their season. Hillary Rodham Clinton emerged as the nominee. Again, you know it turned out for her. That number seemed high at the time, although we had no incumbent running in 2016. President Obama had to bow out, according to the 22nd Amendment to the U.S. Constitution. 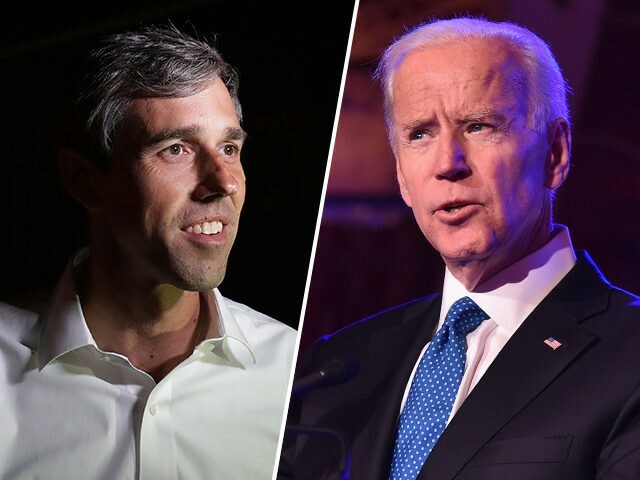 The expected massive field of Democrats well might not even be the biggest story of the 2020 campaign. I am wondering — although not predicting — whether the president is going to receive a primary challenge from, oh, as many as two or three Republicans. Sen. Bob Corker of Tennessee might be in the mix. Same for Ohio Gov. John Kasich — my favorite Republican from the 2016 campaign. Then there might be Sen. Jeff Flake of Arizona. History shows that incumbents who receive primary challenges often do not fare well when the smoke clears and they have to run against the other party’s nominee in the fall. Just consider what happened to President Gerald Ford, President Jimmy Carter and President George H.W. Bush when they ran and lost in 1976, 1980 and 1992 respectively. So, the new year begins with two Democrats already getting set to launch their campaigns. Sen. Elizabeth Warren and former San Antonio Mayor Julian Castro are planning to form exploratory committees as precursors to their candidacies. There will be many more to come. Oh, and then we have the Robert Mueller investigation and whether his final report might inflict more political damage to an already wounded incumbent. I am so looking forward to this new year. I spent some time this week at the George W. Bush Presidential Library and Museum in Dallas; it’s the fourth such exhibit I have seen. I intend to see them all eventually. What in the world is the Donald J. Trump library going to look like? How will the eventual former president portray his service? Will he even be able to develop a theme for an exhibit that traditionally is designed to portray some semblance of whatever legacy he leaves behind. I know that some might view this as a cheap shot, as a stretch, as a way to stick it once more into the president’s eye. However, one’s mind cannot help but go to these places while touring an exhibit that is both somber and joyful simultaneously. 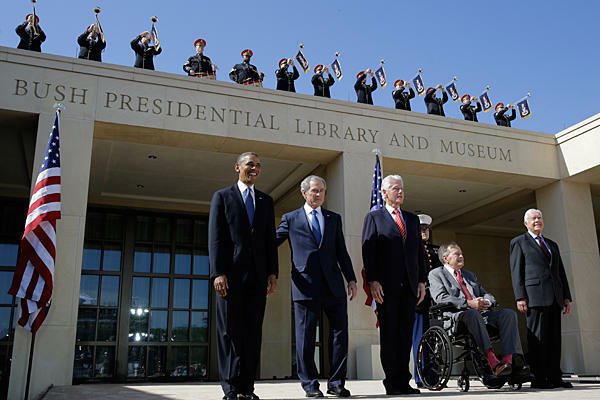 The Bush library devotes plenty of text, audio and video to 9/11, the horrendous event that defined George W. Bush’s presidency. It also addresses his work to combat HIV/AIDS, his joyous and boisterous family and the man’s post-presidential work to help with disaster relief and his on-going support for our wounded warriors. My wife and I have toured the Herbert Hoover library in West Branch, Iowa, the Jimmy Carter Center in Atlanta and the Lyndon Johnson library in Austin. They all speak to the presidents’ signature moments; the Hoover exhibit tells also of the former president’s humanitarian efforts. What in the world is the Donald Trump library going to salute? What tone will the tributes take? How does this president manage to highlight the nation he serves without calling attention to himself? That all assumes, of course, that Donald Trump is able to finish his term in office. There is increasing chatter that he, um, might not finish it. He is becoming entangled and enmeshed in growing legal difficulties. Those legal matters only exacerbate the political troubles that are sure to erupt as a consequence. I am willing to admit to thinking of these things. If only the president of the United States would learn how to govern, learn how to behave the way his office compels him to behave, would understand the solemn responsibility he has assumed. Donald Trump’s penchant for publicity — especially when it’s negative — makes it impossible for me to avoid thinking these things even when touring a presidential library and museum worthy of its name. Today is a special day for one of America’s greatest citizens. Jimmy Carter, the nation’s 39th president, turns 94 today. He is the second-oldest former president; the honor of oldest belongs to George H.W. Bush, another great American. I feel the need to say something good about President Carter because of all that he did after he left office in January 1981 and, indeed, what he accomplished during his single term as our head of state. It’s been said, perhaps so much that’s become cliché, that Jimmy Carter is the nation’s “greatest former president.” He became active with Habitat for Humanity, building homes for poor folks all across the globe; he isn’t swinging a hammer so much these days, but his legacy stands forever in the lives he enriched through his carpentry skills. He has been called upon by his successors as president to monitor elections around the world, to ensure they are conducted freely and fairly. That work, too, has improved the lives of literally billions of citizens worldwide. He has written numerous books, chronicling his years in public life, his dedication to public service and his intense and immense faith in God. Indeed, he still teaches Sunday school classes at his church in Plains, Ga. While he was ridiculed and vilified for his single term in office, I want to remind readers of this blog that the president’s grit and determination produced a lasting peace agreement between two ancient enemies in the Middle East. The agreement has become known as the Camp David Accord. 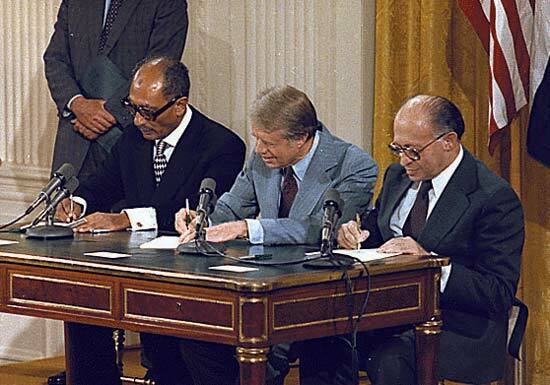 He took Egyptian President Anwar Sadat and Israeli Primer Minister Menachem Begin to the presidential retreat in rural Maryland to hammer out a treaty that ended state of war between Egypt and Israel. The 1978 treaty eventually would cost President Sadat his life, as he was murdered by Muslim fanatics while watching a military parade. That, though, is the nature of that part of the world, as Israeli Prime Minister Yitzhak Rabin would fall victim to a Zionist extremist after signing his own peace agreement with the Palestinian Liberation Organization leader, Yasser Arafat, in 1995. 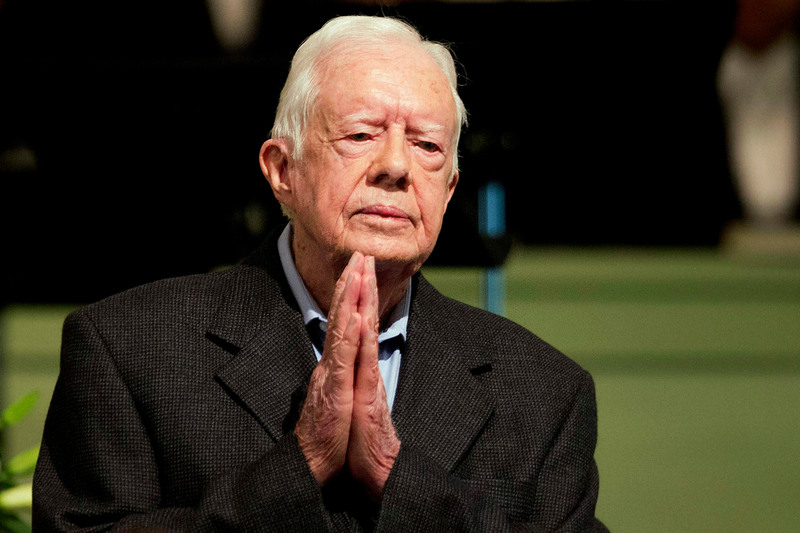 Jimmy Carter’s work as president perhaps one day will get the full measure of respect that is due. Today, though, I just want to join millions of other Americans in wishing this good man a happy birthday and thank him for making this world a better place because he came along to grace it. Barack H. Obama seems to have found his second wind as a private citizen. Same with Michelle Obama. The two of them hardly ever are photographed without big smiles on their faces. The former president is enjoying his time away from the spotlight, as is the former first lady. Oh, this fills many of us with wistful thoughts. If only we could get him back. That can’t happen. The U.S. Constitution limits presidents to two elected terms. Barack Obama did his time. Now he’s out among some of us. Sure, he’s making a ton of scratch making speeches. He is kicking a lot of his post-presidential income back to community projects near and dear to his heart. He is following the course set by many of his predecessors. George W. Bush has taken up painting, has biked with wounded veterans (including in Palo Duro Canyon) and has opened his presidential library in Dallas; Bill Clinton is hard at work on his Clinton Global Initiative Foundation, also making speeches and getting mixed up in politics from time to time; Jimmy Carter builds houses for Habitat for Humanity and teaches Sunday school in Plains, Ga.; George H.W. Bush is in poor health, but he, too, enjoys retired life. 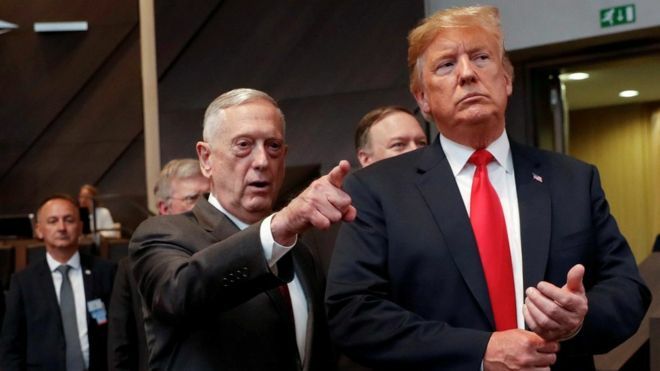 I suppose it would tempting for Obama to fire back at his successor, Donald Trump, who seems to need a foil; he relishes the notion of dismantling many of his immediate predecessor’s successes and he does so while firing off broadsides via stump speeches and tweets. Therein lies one of the many differences between Obama and Trump. The current president simply cannot stand being criticized; the former president might not like it, but he maintains his silence … mostly. As much as I would like to have Barack Obama back in command of the situation, I know — and appreciate — his sense of freedom from the rigors of serving in the nation’s highest public office. I wish him well. I also hope he doesn’t disappear. Many of his countrymen and women still enjoy listening to his soaring rhetoric far more than the trash talk that pours forth from the guy who succeeded him. John McCain likes wearing the “maverick” label. In truth, U.S. Sen. McCain is a novice in the league of mavericks compared to one who has just died. 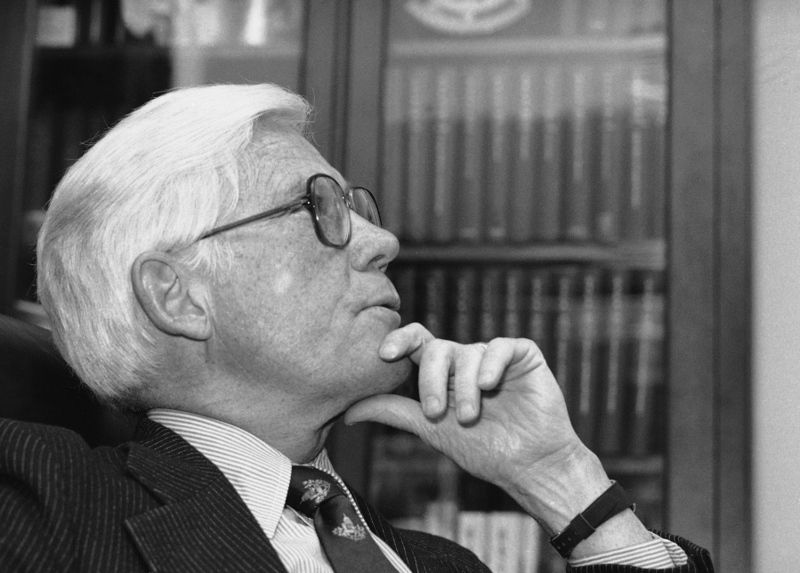 I refer to former U.S. Rep. John B. Anderson, the one-time Illinois arch-conservative Republican-turned civil rights activist. Anderson died Monday at the age of 95. He is best known as an independent presidential candidate who, after losing the GOP nomination to Ronald Reagan, ran for president on his own. He didn’t win any electoral votes in 1980. He did, however, post the seventh-best independent candidate’s finish in the history of presidential elections. I became smitten by the thought of this candidate actually winning the presidency. President Carter was under heavy criticism for (a) his handling of the Iranian hostage crisis and (b) the national economy. I couldn’t vote for Ronald Reagan. So I began to look at Anderson’s candidacy. I knew about his beginning as a staunch conservative Republican congressman and his early opposition to the Civil Rights Act. I also witnessed his transformation from his former self to what he became. He was a maverick’s maverick. I was editor of the Oregon City (Ore.) Enterprise-Courier during the 1980 campaign. I consulted with the No. 2 man in the newsroom and we concluded that Anderson was the best of the three men running for president. With that, I drafted an editorial endorsement of Rep. Anderson. I turned it in to the publisher. It took my boss no time at all to kick it back to me. “No can do,” he said. “We’re going with Reagan,” he informed me. So … we did. But I gave it my best shot. John Anderson the maverick was neither “cold” or “timid.” He delivered his policy statements in a booming voice. And to this day, I still believe he was the best choice in 1980.